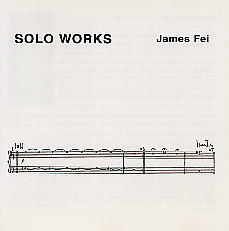 Each of the solo works by composer/instrumentalist James Fei focuses on a set of formal and indeterminate processes, realised on bass clarinet, soprano, alto and bass saxophones. The often internally chaotic material resides within clearly defined structures - a music which utilises fully the possibilities for the composer/performer. Extensive notes by James Fei.